But I knew there was one thing I had to do before leaving the Northern Hemsiphere for a while: I had to go back to Disney World. 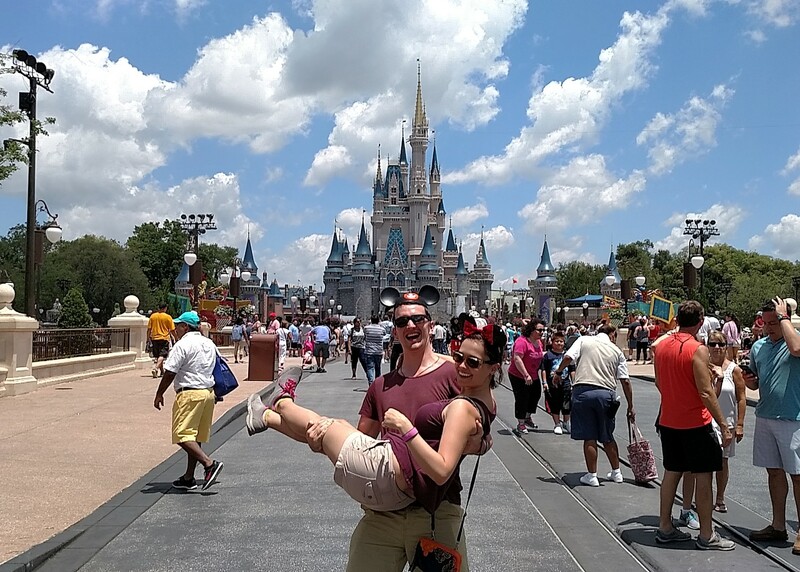 I documented my last trip to Disney World on this blog a few years ago, where I professed myself a total and complete worshipper of all things Disney. I even went on a Disney Cruise for my 25th birthday. Growing up just a few hours from Orlando, a trip to Disney World was our go-to family vacation, and I can’t honestly even begin to try and count the number of times I’ve been. But in my adult life, the opportunities to visit this happiest place on earth have become fewer and fewer. I wanted to do something to celebrate my graduation, and not knowing how long it would be before my next chance for a visit, I decided a weekend in Disney World was just the thing I needed to start off my post-grad school life. One thing that always amazes me about Disney World is that it just doesn’t ever disappoint. The sheer size of the place means there is always something new to explore – even for someone whose been dozens of times. Not to mention Disney does a pretty good job of updating their resort constantly with new attractions and features. Disney has so many resorts and many different pricing levels – all of which are very comfortable and have their own special and unique features. My parents love the resorts so much that sometimes they don’t even go to the parks. 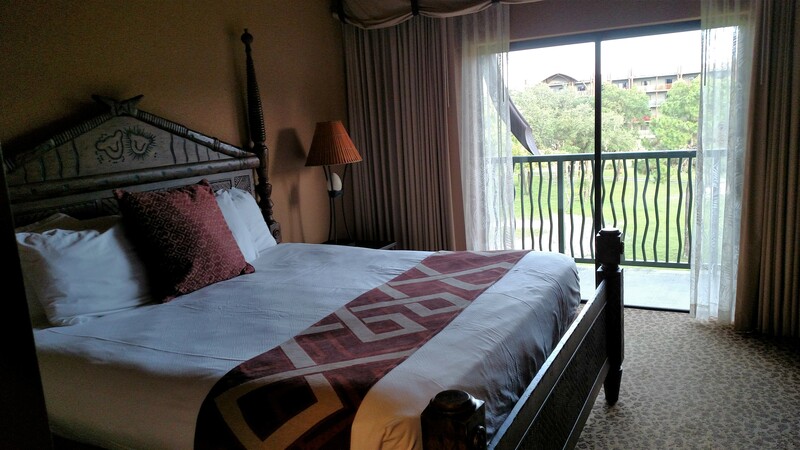 We stayed at the Animal Kingdom Lodge on this trip, where we woke up to giraffes and zebras literally outside our window and feasted on an incredible all-you-can-eat buffet filled with African fare. Some of my other favorite places to stay in the resort are The Contemporary, The Boardwalk, and The Wilderness Lodge – but I’m dying to stay at The Polynesian and The Grand Floridian next! This is a fairly new feature to the parks – as it wasn’t in place during my last visit in 2013 – and it BLEW MY MIND. 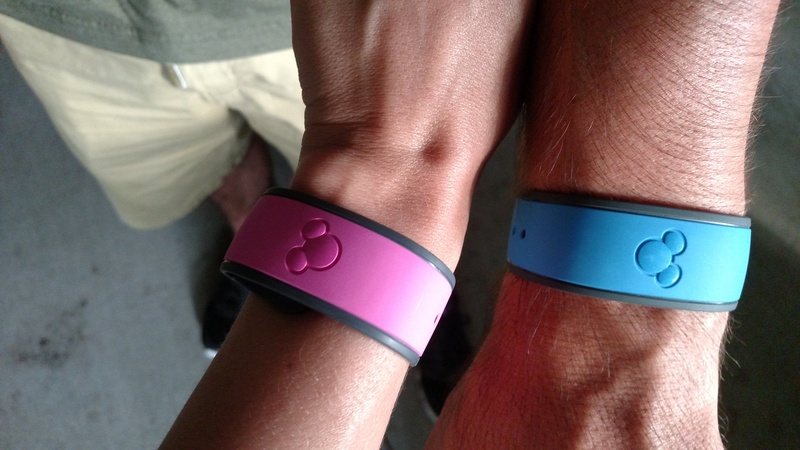 The magic bands have several different uses, and come free if you’re staying at a Disney Resort (you can purchase them for extra if you are not). They serve as your park pass and room key, and general storer of all your Disney magic (which includes meal reservations, photos, and show reminders as well). But the coolest feature by far is the fast pass functionality. Once you buy your tickets, you can start reserving fast passes online (Side note: I wouldn’t suggest buying your tickets during finals like I did. Let’s just say this is a prime procrastination tool…). You’re limited to 3 fast passes per park ahead of time – though once you use them you can add more via a mobile app or in-park stations. This is SO much better than the Universal version, where you have to pay extra in order to jump the line (We also visited Universal on this trip and honestly? I found it pretty meh and not worth writing about in comparison to Disney). It makes SUCH a difference to your theme park experience to not have to wait in long lines for every ride. You DO need to plan ahead with these guys – fast pass spots can fill up as early as a couple of days before – especially on busy days. But for someone whose prepared, it can absolutely make your theme park days. There’s so much more than the four main parks! 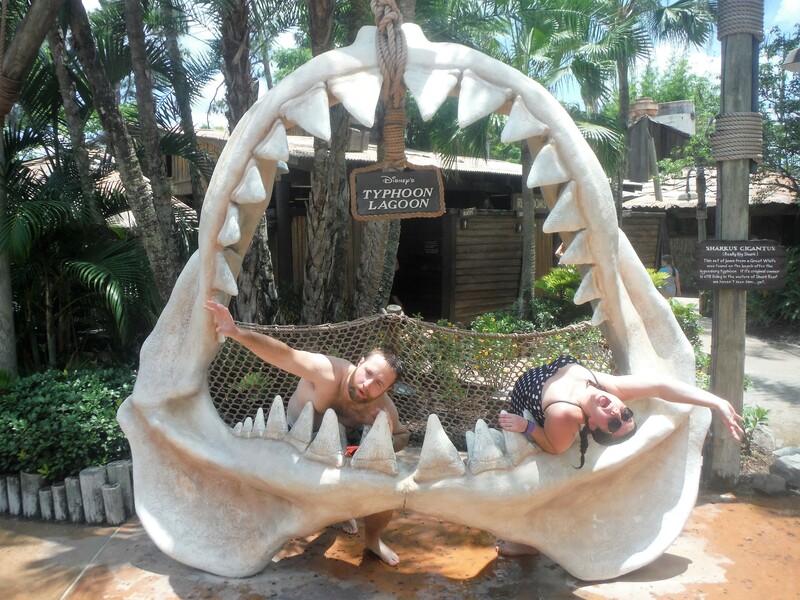 Can you believe that the last time I went to a Disney water park I was… well, I can’t remember. I have very vague memories of them, but at some point shortly after puberty I lost all interest in water parks in general and have skipped the Disney water parks every visit since. But this was Tom’s first trip to Disney, and he had only one request: he wanted to go to a water park. 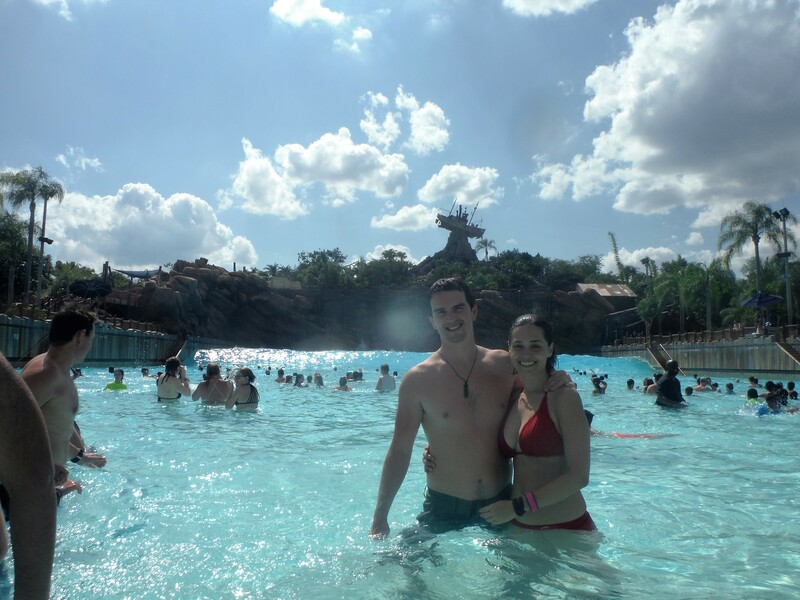 So we went to Typhoon Lagoon, and I expected it to maybe be okay, but definitely thought it would probably not live up to the magic of the main theme parks. Seriously? 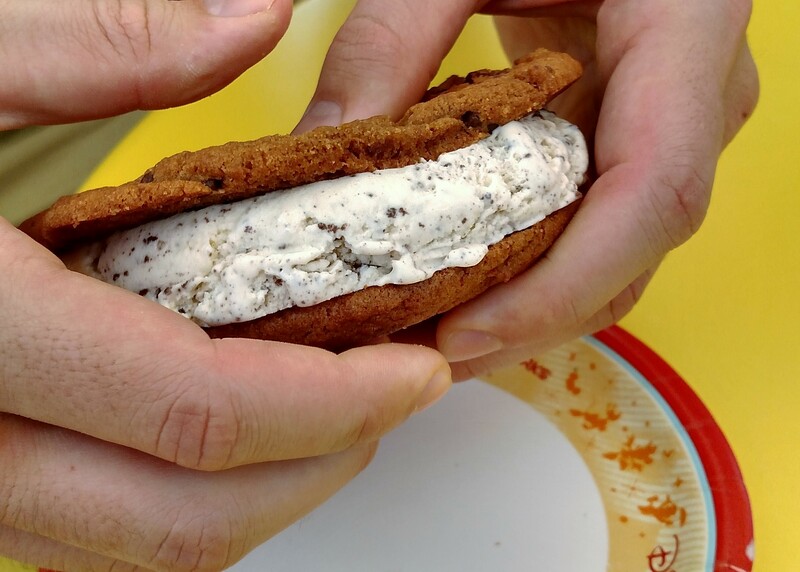 How have I been to the Magic Kingdom a million times before and never ordered an ice cream sandwich from the ice cream shop on that last corner of Main Street USA? I credit my travel companions for this find. Switching up your Disney World crew is a sure-fire way to break old routines and make new discoveries. But let’s talk about this sandwich for a second: I have no idea how long it has existed in the Magic Kingdom, but dare I say it? It was indeed THE most magical ice cream sandwich I’ve ever had. The cookies were huge and fresh and WARM so that the chocolate was melty and gooey. You could fill it with whatever type of ice cream you like (we went cookies and cream because can you ever really have too much cookie?). And the ice cream to cookie ratio was ON PAR people. It was absolute perfection. I don’t think there’s anything quite like deflowering a Disney virgin. Lots of people have an idea what it will be like to go to Disney World, but very few realize just how epic a place it is until their first visit. 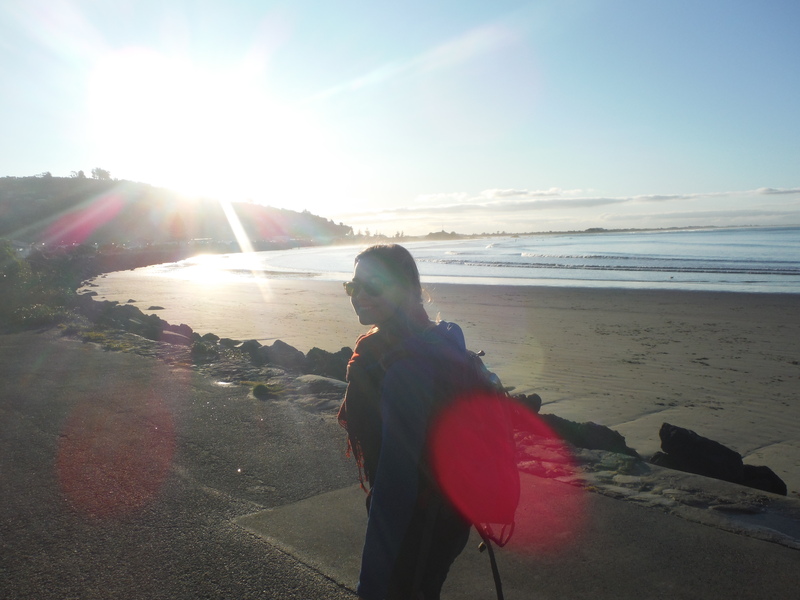 I have had the honor of escorting many people through this magical place for the very first time, and it doesn’t matter how often you’ve been there – seeing it through a newbie’s eyes brings an extra layer of excitement to it all. 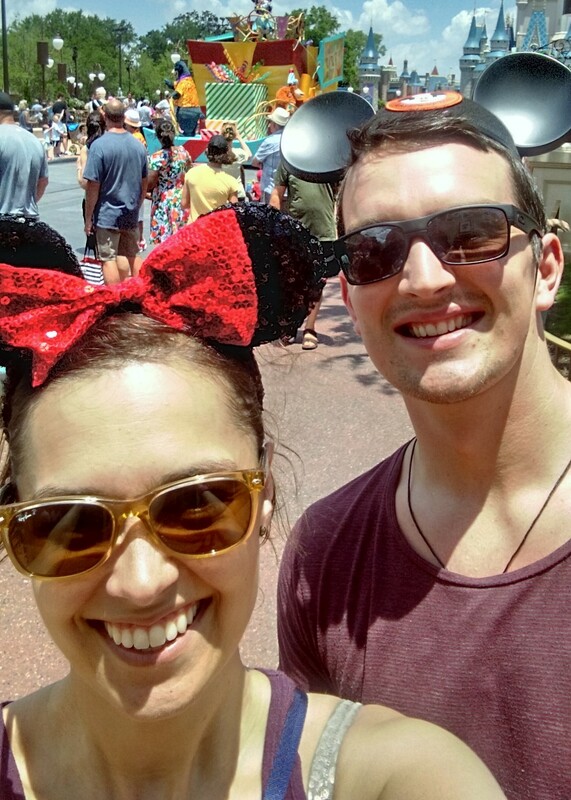 Tom was an especially satisfying first-timer – we had been in the Magic Kingdom all of 10 minutes before he had purchased us matching mouse ears. So you’ve already been to Disney World? Grab a friend whose never been, book yourself in a different Disney resort, customize your magic band online, promise yourself you’ll try at least one new food item and one non-theme park venue, and go back. Don’t forget to use your magic bands to reserve your fast passes so that waiting in line for a ride makes you as happy as it made us!